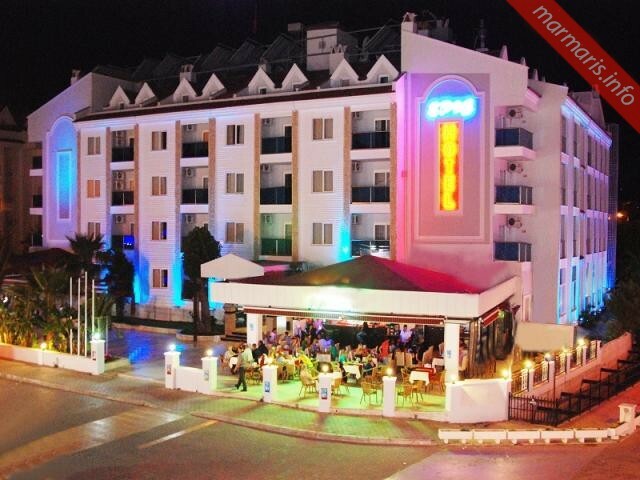 Epic Hotel in Marmaris has a peaceful environment as it is situated within the residential area. However, the hotel is never far away from the city center, bars, shops and restaurants. The popular Marmaris Beach and the fantastic Marmaris Castle are about 1.5 km from this place. The hotel has about 100 accommodation facilities that include twin, double and family guestrooms, apartments and suites as well. All of the accommodations are decorated with retro furnishings and wooden floors that give an earthly tone to the setting. The rooms in the hotel are well equipped with excellent amenities that include telephone, satellite TV, air conditioning, hairdryer, and private balcony space as well. The lovely outdoor pool is surrounded by a comfortably large sun terrace and clustered with parasols and sun loungers. The pool has a Jacuzzi and a waterslide as well. If you are on a look out to enjoy Mediterranean sun, this is the perfect place for you to be! For travelers who are more active, there are facilities like gym and aerobic classes where they can begin their day. Other facilities include a beauty salon. The kids coming with the travelers can have an access to a separate playground. The hotel restaurant features an alfresco terrace and has a menu of traditional Turkish delicacies. The hotel’s nightclub serves you delicious local spirits and offers you a nice place to listen to the karaoke and dance through your evening. The evening entertainment includes belly dance shows, folk dances and disco. The hotel has a 24-hour reception center and a 24-hour room service and you can expect a warm welcome anytime you make a check-in here. 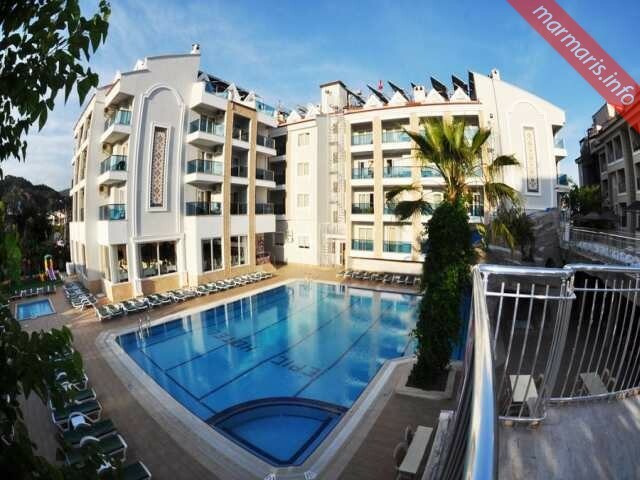 With its stylish, spacious and modern accommodations, the Epic Hotel in Marmaris will surely give you sweet memories of your stay in Marmaris for a long time. The prime location of the hotel also offers you ample opportunities to explore the surroundings with great ease. Each of the accommodations are well equipped with WC, shower room, kitchenette with self-catering facilities including fridge and a private balcony space that give you a stunning view of the sea. Offering a wide range of facilities, the hotel has become a popular holiday space for all ages. 24-hour front desk, Laundry, Dry cleaning, Barber/beauty shop, Ironing service, Currency exchange, Fax/photocopying,Family rooms, Lift/elevator, Safety deposit box, Non-smoking throughout, Air conditioning.